Meet the citizens from Delaware’s past. 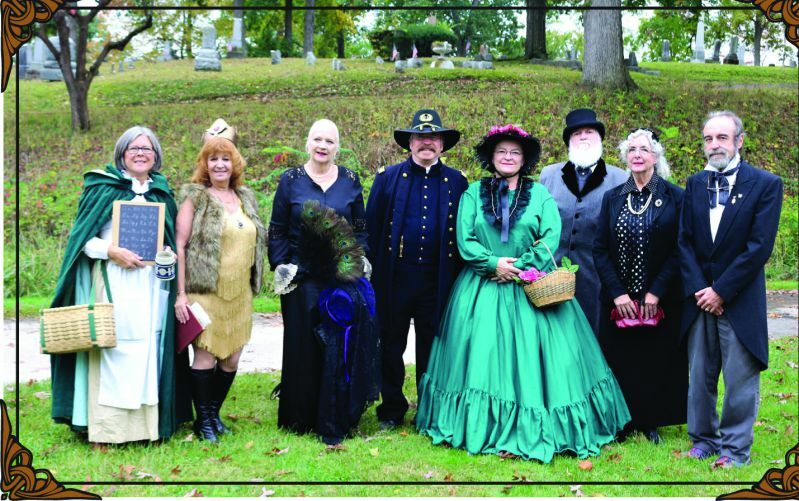 Costumed interpreters will share their stories at tombstones throughout the cemetery. This year’s tour features ten or more re-enactors portraying the lives 10 or more prominent Delawareans. Harvey James “H.J.” McCullough – Delaware native, businessman and lumber dealer. Frederick Anthoni Sr. – a French immigrant and founder of one of the first lager beer breweries in the city of Delaware. Franklin B. Sprague – Military officer, explorer, businessman and judge. He explored Crater Lake in Oregon and a river in the area was named for him. Grandson of Forrest Meeker. John D, Van Deman – Delaware native, OWU graduate, lawyer, banker, mayor, and Civil War officer. Tours last approximately 1 hr 45 mins. You must be there 10 minute prior to Tour Time. Parking will be available. Follow signs and guides from Sandusky Street gate. Please wear proper outdoor attire and comfortable shoes (considerable amount of walking, some over uneven ground). No handicapped accessibility. For a map and directions to Oak Grove Cemetery, click here. and receive a FREE pass for this Cemetery Walk. or call 740-369-3831 Ext. 3. The Society offers programs and events throughout the year, check out this years schedule. Oak Grove Cemetery is located at 334 South Sandusky Street in the City of Delaware. Oak Grove was established in 1851 and is the largest cemetery in Delaware County, encompassing about 80 acres and approximately 22,000 interments, including those in the adjoining St. Mary Cemetery. The City of Delaware began operating Oak Grove Cemetery in 2012.